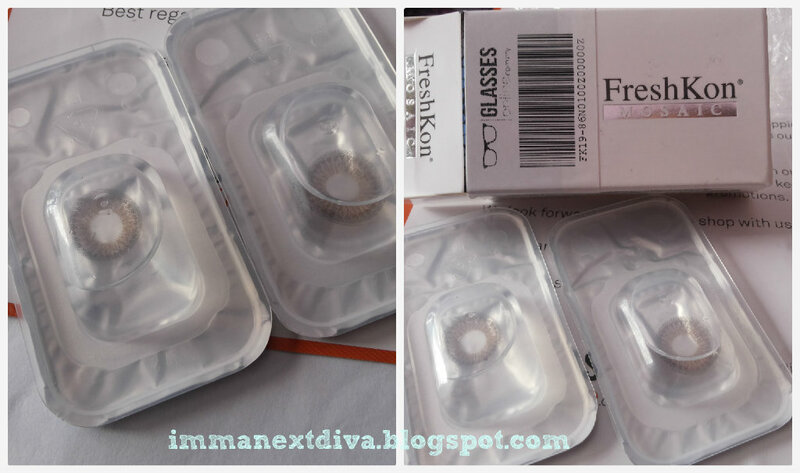 Ever since I started wear contact lens Freshkon has been my absolutely favorite brand of all. 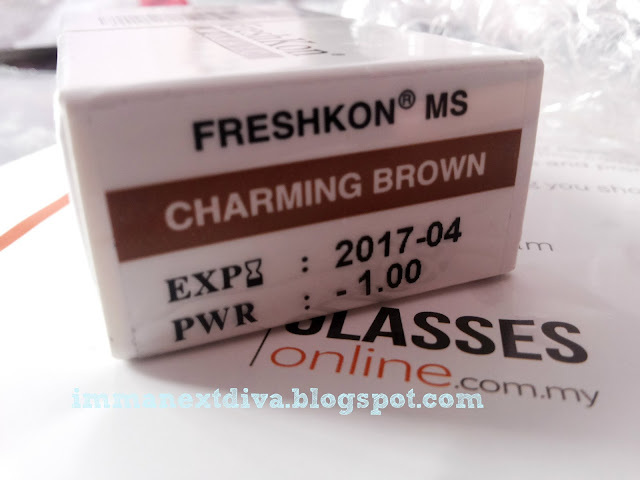 I remember when I first bought my colored contact lens, it was from Freshkon and I still remember I bought the Freshlook Colorblend in True Sapphire. Oh yes and this story was almost 6 years ago. 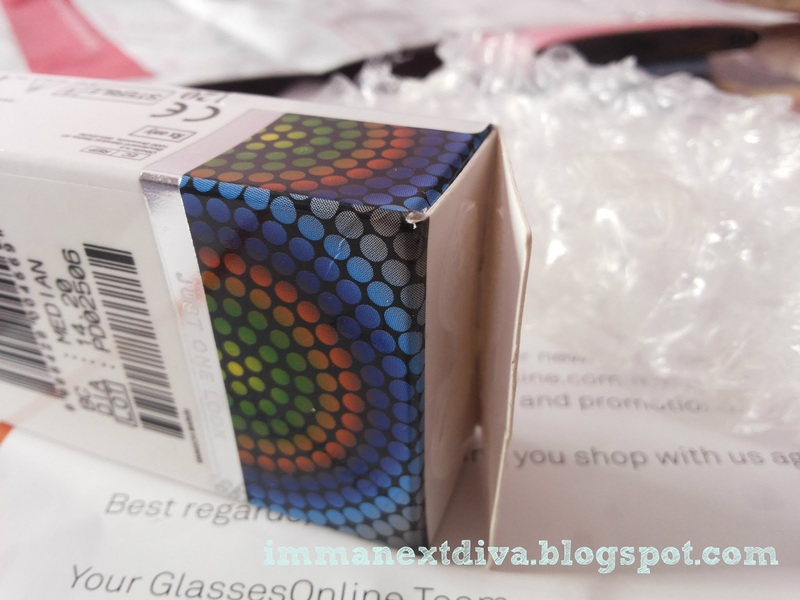 When Glassesonline contacts me to do some review, I was beyond happy to do so. So I chose the Freshkon Mosaic in Charming Brown. I have the least number of brown contact in my experiences because I am a huge fan of vivid and vibrant colors. I never really heard about this Mosaic collection before because for the past 2 years I have been actively trying different brands of cosmetic lenses. So this collection is pretty new to me. I'm not really positive whether it is new collection or not. If you know do tell me. The diameter of this contact is 14.2mm. 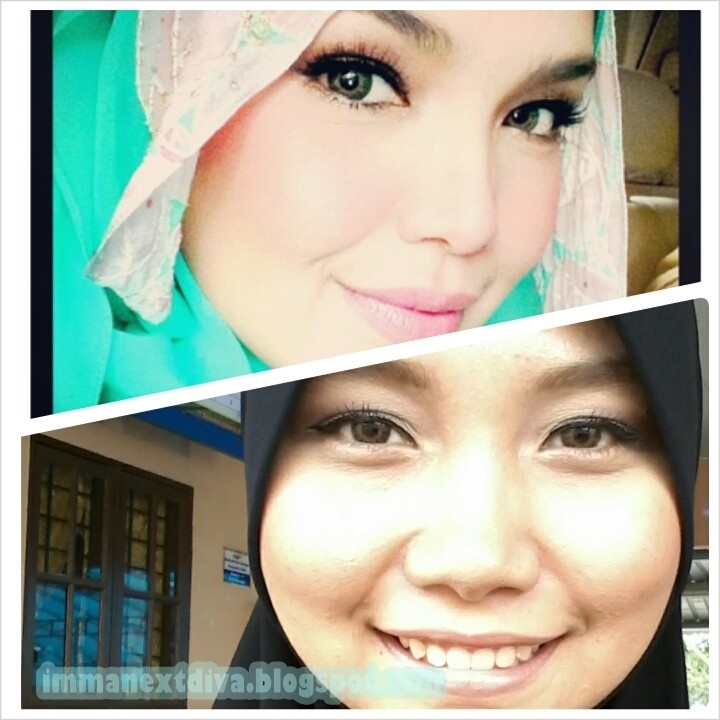 Which is consider normal and no bigger eyes effects. It is absolutely looks natural on eyes. So to talk about the comfort of wearing it, my eye on the right is a little bit sensitive. It feels super itchy sometimes. But on the left side it feels comfort up to 5 hours. After that I have to drop the contact's solution because my eyes are starting to dry. The design is genius. It looks like my real eyes. 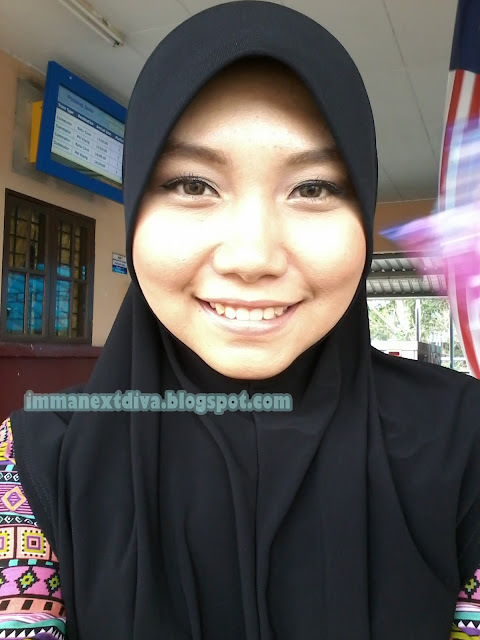 It is so natural on my eyes. But if you are a big fan of circle lenses that make your eyes appear bigger, this is not for you. I noticed that this contact is consider as soft contact lens compared to other Freshkon contact lenses that i've tried before. So if you are a beginner, you are probably going to take some time to apply it into your eyes because it often flips because of the soft texture. Dato' Siti also wearing the same contact lenses?? wahhh..
Ms Rosy's Secret to Rosy Fairness revealed!